Okay, the question. Who isn’t on facebook, except probably octogenarians or citizens of Alaska? No, wait. Citizens of Alaska are on facebook too. Facebook is almost a part of Maslow’s triangle now. Kids, men, women, retired men and women, teenagers, people of all Diasporas are a part of it. It is a place where people across the world connect for real-time interaction. Internet was said to be a connecting tool for the world a few years back. However, it is connecting people in the real sense only after the onset of the social networking websites. The growth of Facebook as a business model has been unprecedented and phenomenal. It started out as an experiment among few college students, and now there are millions of active users, with more signing up every single day. It is a platform for a user to connect to his peers and stay connected, in an interesting and interactive format. Adding someone to your email list is also interaction, but where social networking sites differ is in their on-looker approach. By adding someone on facebook, you exposing to everything that is happening in their life through their updates, wall posts, etc. You can comment or just click on the ‘like’ button. All this also comes from interaction and is more effective because it is continuous and lasting than compared to an email once in three months. Facebook is proving to be the most productive marketing and promotional tool for businesses as well. More and more companies are relying on social networking sites to connect with their end-customers and potential clients. Reaching to their target users has also become quite simple as most of the audience on social networking sites like Facebook is conveniently segmented according to their likes and dislikes. Just log on today and check out those ads to the right. It is a strong and interactive medium that has higher customer participation than any other form of new media. If you have a business of your own or want to promote your product or services on the internet, having a strong web presence is very important. Most of the today’s world operates on WWW. It is the age where people ‘google’ about what to buy or invest. Having a strong web presence means having blogs, content, and websites related to your products/services. Other than the above mentioned having a strong social network presence is also quite beneficial. The best part is it is free, and you can get started by yourself. 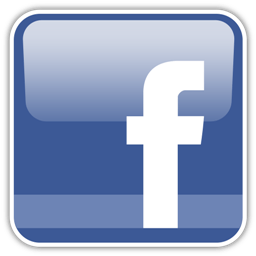 So, why do you need a facebook consultant? It is quite simple really. By hiring a professional, you make the best use of this free resource, which generates a far higher return on investment than any other media could can. A professional will help you intensify your reach and help you create a niche market for your business. Social network marketing like any other niche marketing has its experts who have successfully created and established business models that extensively used facebook as an important part of their marketing strategy. Facebook gives the user the opportunity to create a business page which is similar to a profile of the business. People are then required to ‘like’ the page which also means becoming a fan of the page. All the posts and updates related to that page will be visible on all the members’ walls. The directness of the communication is its unique selling point. Also remember the user chose to ‘like’ that particular page/group, hence they would be more open to any suggestions/updates/ads/information from them than just casual browsers, which is the case of print and electronic media. ‘Facebook your skills’ seems to be the new age mantra. Creating a page on Facebook is not the end of it, it’s just the beginning. Having the appropriate content and using the best tools available to create a unique and interesting page is the toughest part. Here’s where the consultant comes into the picture, as they have all the knowledge and experience in achieving the same. It is either job to ensure that traffic is diverting to your page and that your business had a wider and all-encompassing reach. Even using social media it is possible to lose your voice, especially because there are so many others trying to achieve just the same as you. Having a consultant will ensure that you don’t lose your image in the traffic on the whole. Facebook Pages are the great tools for your business development. Business and Brands are using turning their customer’s attraction towards Facebook Messenger to communicate and contact with the Customers. Anyways Facebook is the champion in the Social Media websites. Facebook can be used for Business in a number of ways.If you Use Facebook for business in a right way, then you will see a drastic change in company’s Growth. Create Facebook Business pages in with correct information, create your Business Page, upload nice Infographic images which can showcase your business services, describe each service clearly that can reach audience easy way. Check the audience viewpoint provide right info in images, videos, and links format. Create Facebook ads by boosting your video ads. Facebook ads are located in right side feeds. Add Facebook ads considering user’s point you should have the ability to set budget, post by selecting demography, age, and location wise. Build-in ads performance measurement tools. Another Facebook marketing tool is Hosting Facebook Contests, which can increase fans and audience to your Facebook pages. Promote your posts on Facebook for Business growth. Facebook reached million of Global Advertisers in the Market. The main tool in Facebook is advertising on pages. Creating groups in Facebook can build a Global audience like communities to share your companies profiles and business services. You can use your accounts also for building communication from your clients and colleagues.Advertising on Facebook is the best place to share your view on Business pages can lead engagement in an audience. Facebook has some Tools to support for Facebook Business pages. Facebook’s Millions of user base makes it a wonderful social media platform for reach a great audience. If you are a person or a brand looking to buy or sell products, it’s easy to each target audience. Live Video and native videos are one of the powerful tools to connect with your audience on the Facebook Platform. Hiring a consultant who knows the dos and doesn’t of Facebook Advertising and Marketing could drastically increase your reach and engagement. Hire a professional Facebook Marketing Consultant and give your business the best possible chance it can have. And as web marketing forms the biggest chunk of any marketing model of today’s business all you are doing is essentially the same. It will all be worth it when you continue to reach new sets of users every day and also retain your old clientele because of your engaging and interactive social networking model. I am helping lot of Brands using my Facebook Marketing Consultants and providing my services from 2008 to make them happy.